In May of 2009, Books for Keeps founder Melaney Smith met an Alps Road Elementary second-grader who was disappointed that school was breaking for summer. Why? When school ended, so did her access to books. Melaney inquired about how to help, and learned that many of the student’s classmates were in a similar situation. The hardest news of all: some of these second graders would lose the reading skills they gained during the school year – a circumstance known by educators as “summer slide” – and would start school in the fall lagging behind their classmates. Melaney rallied friends and family to provide books to 80 second graders at Alps, just in time for summer. The following year, in May of 2010, she used social media to rally people from around the U.S. and Canada to mail their used books to Athens, and provided books to every student at Alps Elementary. And the books kept coming. When Melaney learned of a study that identified a solution to summer slide, the Books for Keeps flagship program was born. Adopting the methods used in the study, Stop Summer Slide! provides 12 books to every Athens child attending an elementary school where 90 percent or more of students qualify for free/reduced-price lunch. 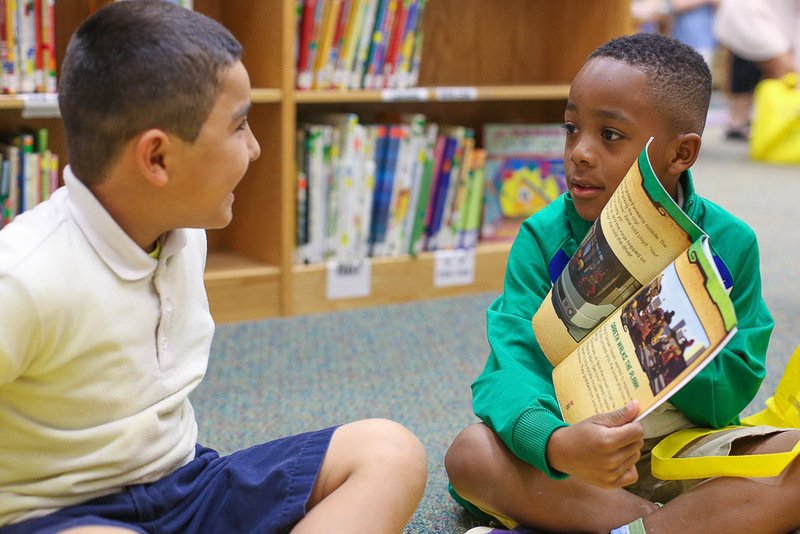 Since 2009, Books for Keeps has given more than 450,000 books to children from low-income families in grades Pre-K through 12. In 2013, two more Athens schools reached the 90-percent mark. And in 2014, Books for Keeps followed through on its commitment, reaching these additional Athens schools, as well as the two schools outside Athens, for the first time. This nearly doubled the reach of the Books for Keeps program to 3,700 students. In 2015, the Books for Keeps Board of Directors adopted a bold strategic plan with one driving objective: to expand our reach in Georgia so no child loses educational ground during summer due to simple lack of access to books. Starting with 18 new service schools, Books for Keeps will grow into a statewide organization, ensuring that every child served has the tools necessary to retain literacy skills gained during the school year. This, in turn, supports broader educational efforts to get every child reading on grade level before middle school. 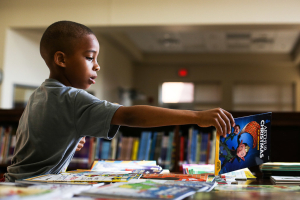 Books for Keeps intends to serve every child attending an Athens-Clarke County elementary school, plus new schools in Atlanta and in rural Georgia counties as the means arise. 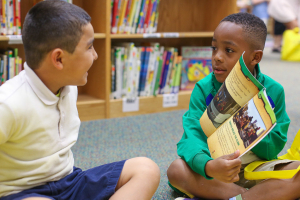 By the end of this four-year expansion, Books for Keeps will be serving 20 Georgia elementary schools. Books for Keeps added four schools in spring 2017, and three more in 2018. That brought our service population to 8,000 students – 95,000 books given away. No matter your abilities, there’s a way you can help. Please consider joining us, by volunteering, donating books, donating funds, becoming a sponsor, hosting a book drive, or just spreading the word. Your contributions could make a difference in the life of a child. Your contributions could make a difference in the life of a child.